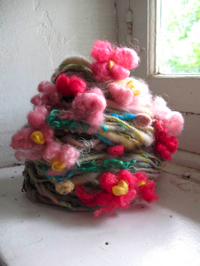 During this episode, Lexi retraces the creative journey that led her to become a spinner of whimsical yarns containing shredded paper, recycled sari silk, ribbon, candy wrappers, and more. 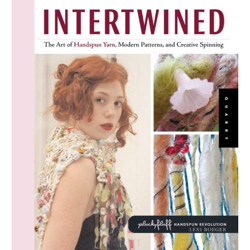 She also talks about “Intertwined” which serves as a guide book for fabulous spinning adventures and contains an abundance of projects to inspire readers to use handspun yarn to knit, crochet, weave and felt. Even if you don’t spin, you’ll likely find this episode inspiring because Lexi’s approach to life and pursuing big crafty dreams is truly universal. Enter to win Lexi’s new book! Check out the contest details. Special thanks to episode sponsor, artist Jennifer Maroney. Check out her blog and shop. What’s on your wheel? 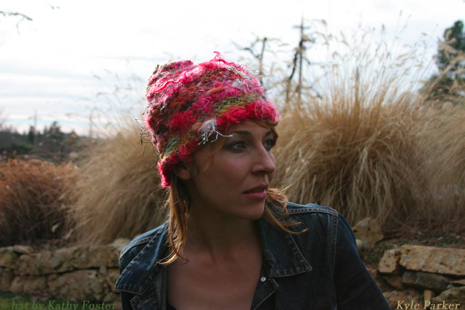 Share the story of your wildest yarn for a chance to win Lexi’s book!